The UK it seems, has joined the US in it’s authorities and government developing a collective form of acute paranoia. A mildly deviant act by any petty criminal or a soul with mental health problems is immediately labeled a potential terrorist act before investigations have even begun. “We are fighting them over there so we don’t have to fight them over here” was the George W. Bush mantra. Anyone with half a brain was commenting after Afghanistan and Iraq that no American or British citizen would be safe anywhere on earth after the devastation their countries had wrought on nations which posed them not the slightest threat – mass murders, some would say genocides, based on illegalities and lies. Not only have the actions of governments given rise to retaliation in the West, but governments’ own paranoia are threatening their own citizens. For example in the UK, on 25th July, a situation arose which Orwell surely could not have devised in his gloomiest forbodings. Faizah Shaheen, a psychotherapist working in the National Health Service in the UK’s northern city of Leeds, returning from her honeymoon in Turkey was apprehended and interrogated by police officers at Doncaster airport, under Schedule 7 of the Terrorism Act, which provides for police detaining without grounds, on suspicion of involvement in criminal activities, including terrorism. 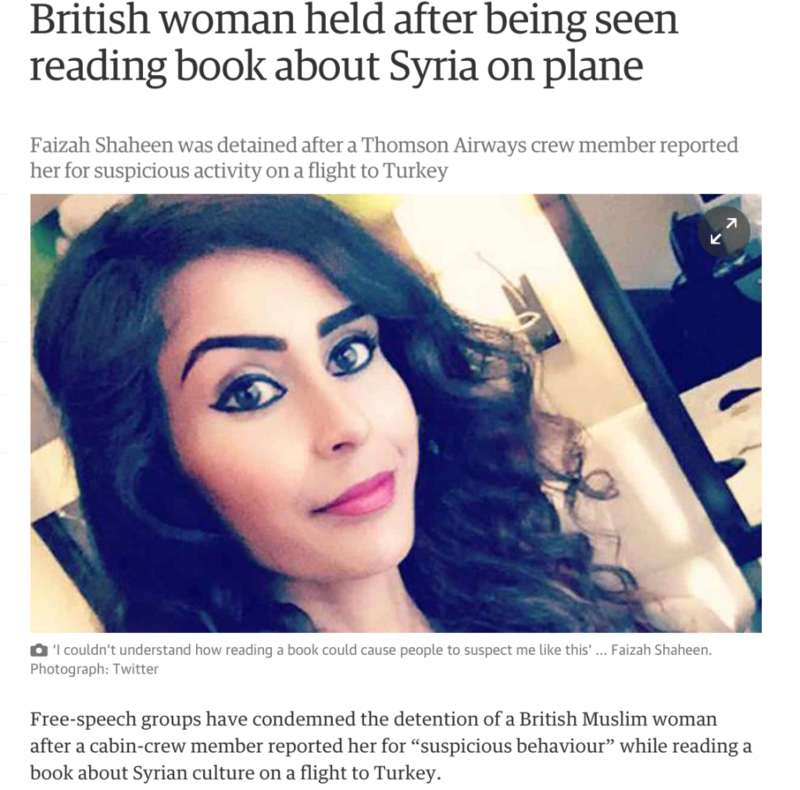 Ms Shaheen was, it seems reported to the security services for travelling whilst being a Muslim and reading a book with “Syria” on the cover, by a Thompson Airways member of staff, who had spotted her carrying the book on her outbound flight two weeks earlier. Ironically Shaheen’s work includes working with the young with mental health problems to prevent radicalization. She also has a BA (Hons) in Fine Arts. She said of the incident: “I do question if … it would be different if it was someone who wasn’t Muslim.” Quite. 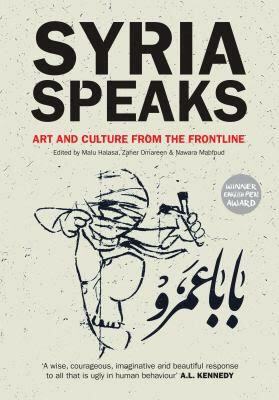 Her treatment also begs another question, Syria has become the fourteenth majority Muslim country the US has bombed since 1980 – usually enjoined by the UK, so how have Muslims become the suspects and not the victims? Yemen of course has been bombed again since 2015 by Saudi Arabia assisted by US and UK advisers – and US and UK bombs. “I cannot believe what I’m reading. “Faizah is one of the most respectable people I have ever met and a genuinely amazing person. She has supported many campaigns I’ve been on and stood beside me and my friends to challenge racism, Islamaphobia, hate, detention of children and so much more. “The flight services need a better procedure as I am left in tears returning from my honeymoon. I will be making an official complaint as this is simply not acceptable! It seems it is not refusing to hear them that is the problem, but being allowed to hear them without being apprehended.